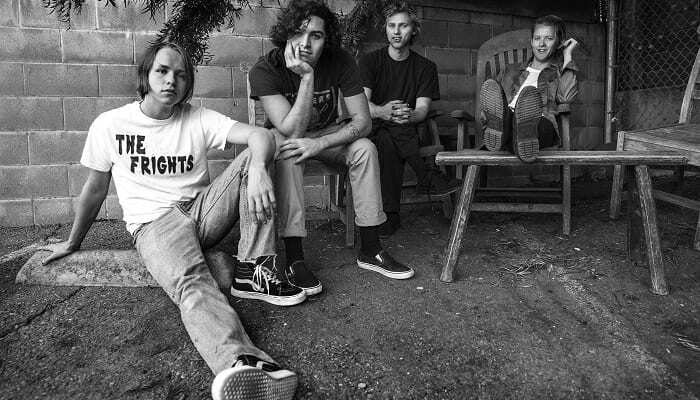 SWMRS are back with a brand new song and music video. Plus, they announced the date for the third edition of Uncool Halloween. It’s safe to say we’re pretty excited about all of it. Check out “Berkeley’s On Fire” below! SWMRS have dropped the vibrant song, “Berkeley’s On Fire,” and a music video to match. The track’s off their upcoming sophomore record, a follow up to 2016’s Drive North. The band weren’t afraid to get political on the track, which mention the protests that happened at UC Berkeley in 2017 after the university announced an appearance by Milo Yiannopoulos. The video echoes the theme of the song, including footage of protests and riots from around the world. SWMRS also announced that Uncool Halloween III, the band’s annual Halloween show, will take place on Saturday, Oct. 27, at UC Theatre in Berkeley, CA. They will be joined by Bleached, Mt. Eddy, Beach Goons, Destroy Boys and Small Crush. Tickets are already o sale, and you can grab yours here. The band is currently on tour in Europe and the UK. They will also be playing a couple festival dates in the US, including Riot Fest, later this fall. Check out the full list of dates and cities below.